Burnouts are definitely a fun thing to watch, but when the car goes through all seven gears to burn the rubber, it’s even more exciting. This is the case when a Hellcat was filmed in Poland doing exactly that. 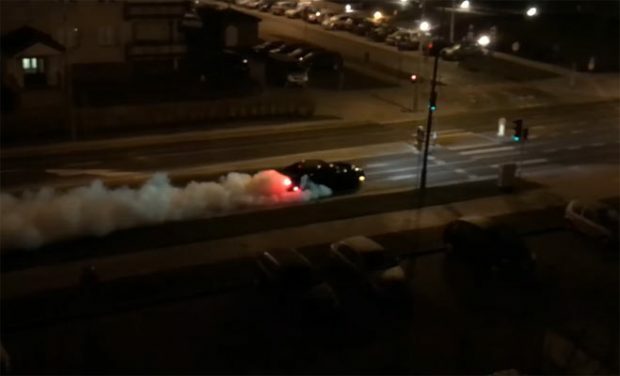 The burnout starts with a brake stand and the driver going through each gear through the rolling burnout past his plumes of smoke and into the distance. There’s obviously a serious attempt here to push the car through all the gears and see exactly what this hellcat can do. Like any of these street videos, we highly recommend these be left to the professionals.